Never before has a North American, industry specific conference drawn over 1,000 attendees… until now. 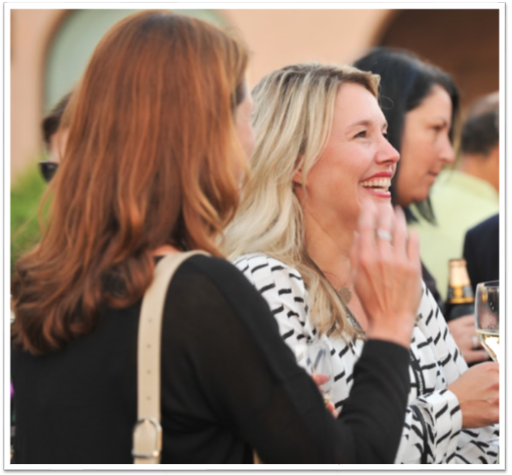 SAP for Utilities – a close collaboration between SAP, Eventful Conferences, and ASUG – brought together more than 1,000 utility professionals, thought leaders, partners and SAP experts for three truly exceptional days in Huntington Beach, California. Over 100 unique utilities were represented from across North America, in addition to representation from 20+ countries, including Australia, the Philippines, Japan, and many others. With 7 unique conference tracks, there was a little something for everyone. Over 92% of our breakout sessions were customer led, across the topics of Customer, Operations, Finance, Technology, Procurement, Data & Analytics, and Organization. On top of track sessions, attendees were treated to a number of compelling keynotes, which spanned a variety of industry specific content. In addition, special attention was paid to offer keynotes that allowed us, as individuals, to take time for reflection on our careers and lives. Here’s just a few highlights from the event! 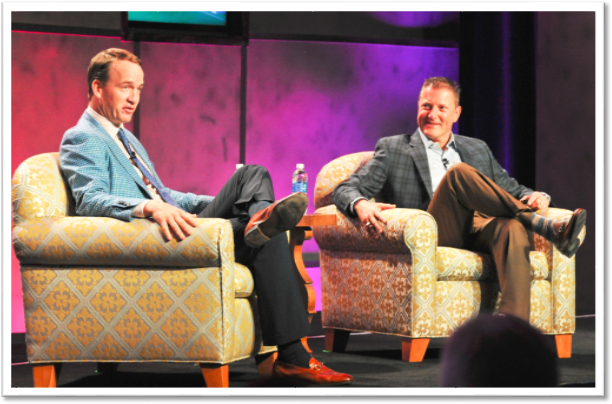 Of particular excitement was a moderated keynote, featuring 2-time Super Bowl Champion, Peyton Manning. The main-stage was packed – in addition to the overflow room, – to catch a glimpse of the 14 time Pro Bowler. 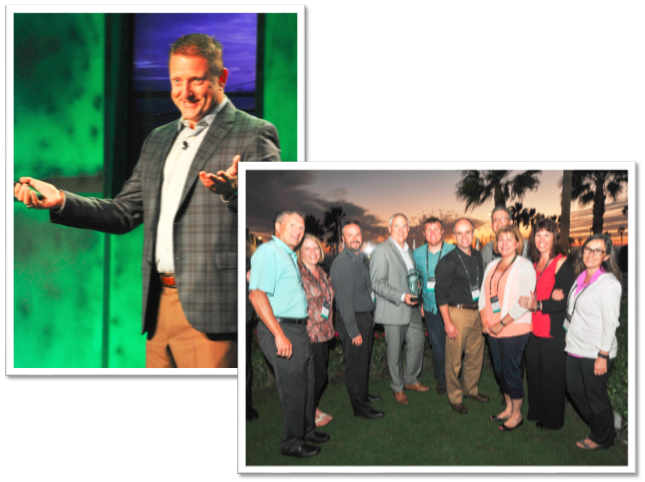 New this year was our SAP Executive Leadership Forum, which brought together 38 executives from the utilities industry for a day of executive-focused content, networking, and a truly white-glove experience. 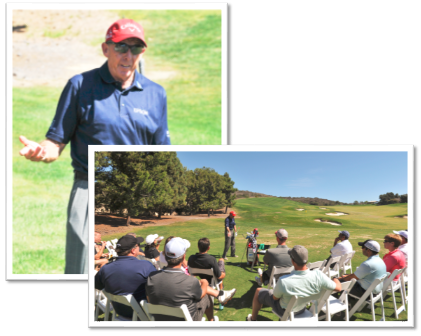 Many took part in the customer appreciation outing to the beautiful Pelican Hills Golf Course, and were treated to a private lesson with golf legend, David Leadbetter. The Sunday outing was followed by a specially curated conference track on Monday, and an appreciation dinner at The Winery Restaurant in Newport Beach on Tuesday evening. 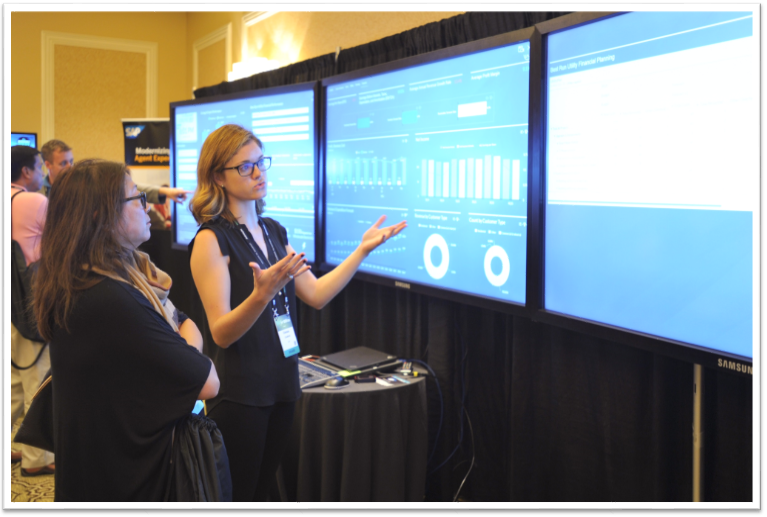 New to the SAP4U Floor this year was the SAP Innovation Lounge – which aimed to reimagine how we engage with customers around our solutions. The team took interested customers on a “tour” of three solutions in both a Customer Track, and an Asset Management Track. Often, tours were taken by entire teams from unique utility organizations. The Lounge also featured an SAP Think Tank. This glass enclosed space allowed adventurous customers the opportunity to experience design thinking. Our presales team, education team, and partners, led sessions in the tank, which really captured the attention of their audience. Also new to the floor was the SAP Run Live Challenge. This utilities-centric obstacle course allowed customers a fun opportunity to let loose between track sessions. Industry colleagues were pitted against each other in a time-trial of various activities. Three lucky winners took home top prizes of an Amazon Echo, FitBit Surge, and Amazon Fire. 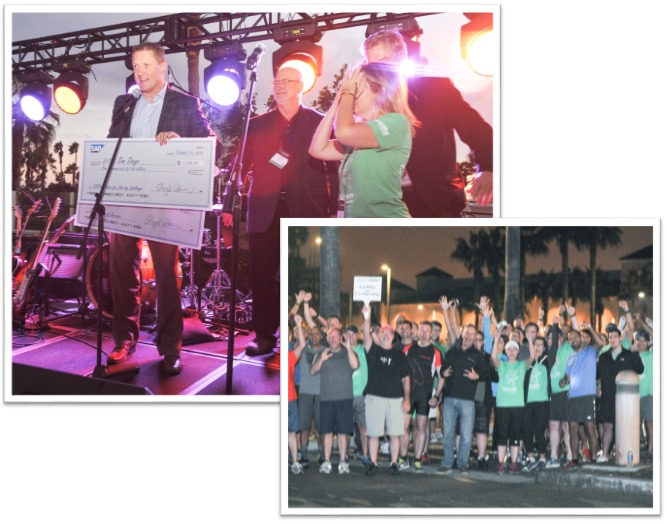 With October being SAP’s Month of Service, the Utilities team and host utility Sempra Energy identified 2-1-1 San Diego as a charity beneficiary of the SAP for Utilities Conference. Opportunities to participate involved a raffle for a Peyton Manning signed football, a 2.11 million step challenge, where attendees tracked their steps with a real-time view on our dashboard, and a 2.11 mile run/walk during sunrise along the beautiful Huntington Beach. 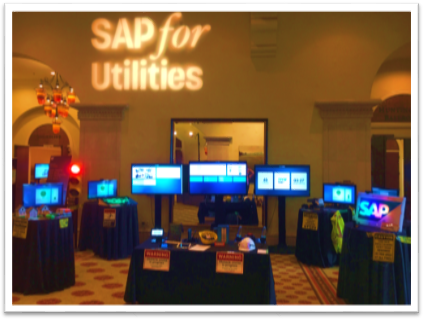 The conference was extra special for five deserving utilities, who took home an award as part of the 9th annual SAP4U Excellence in Utilities Awards. Over 5,000 votes were cast in an online poll of the utilities community, and over twenty-six companies were nominated. One of the longest running traditions at SAP4U is the Women in Utilities Luncheon, which this year drew 120 female participants. In line with the overall conference, this, too, was record breaking attendance for the well regarded event. Thank you to all who joined SAP and Eventful Conferences in Huntington Beach this year. It was our pleasure to host you, and hope that you found relevance in the content, connection in networking, and fun throughout. Please mark your calendars for SAP4U 2017, as we return to the Hyatt Regency in Huntington Beach from September 10-12. Look forward to seeing you again, soon! Were there any new product or strategy announcements ? – If so, could you please provide some additional info or links ?